The LeMetric Hair Design Studio / Hair Extension Bar / A little weave and a little wine. A little weave and a little wine. Last night we had our Beauty Blogger pre-launch event for our Hair Extension Bar which is set to launch April 4th. New York Beauty Bloggers such as Aly Walansky attended to have a little and talk about weaves and extensions. 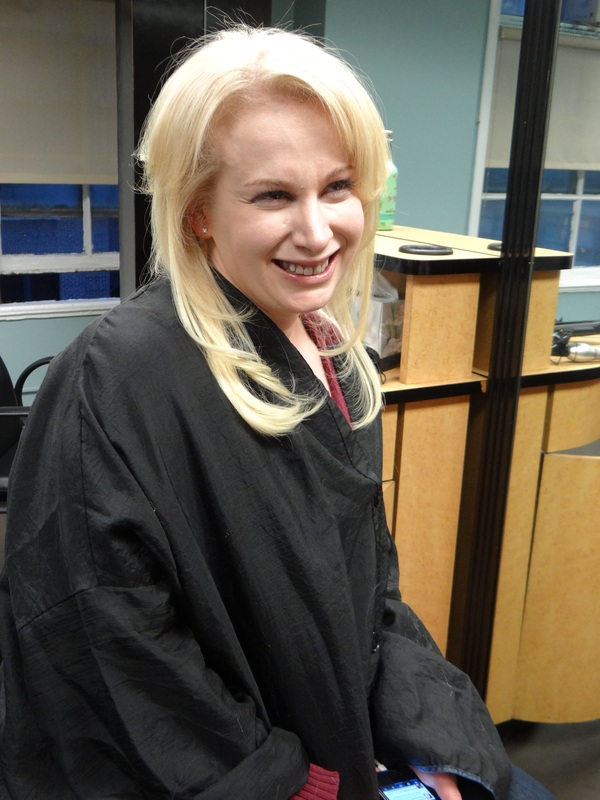 We live streamed Aly Walansky’s transformation with the help of fusion extensions. Aly, like many women, has been struggling with thinning hair and growing her hair out. With a little help from our hair extension specialist, Danny, she now has the look she has always wanted; a mash-up of Rapunzel and Barbie. We also gave my favorite Beauty Blogger a jaw-dropping transformation. Our hair specialist, Sue, took the reins on this transformation and made Shirley look phenomenal with the help of a straightener and some clip in extensions. The night ended with a tour of our Mobile Beauty Bus and Gift-Hats (gift bags) with plenty of goodies from our friends who are Made in America advocates. We’d like to thank our sponsors Beecology, Rosebud, rosieMADE, True Emotions Cards, Bollman Hats, Dr. Bronner’s Magic Soap, Violent Lips, Cangles, mod., Duchessa, New Options Natural Hair Care, Clipa, Organo Gold, Shobha, and Jacobs WoodWorking LLC. Our Hair Extension Bar is set to launch April 4th – mention this blog and get FREE eyelash extensions (just tips). Hope to see you then!